Day 2 of our trip was a long day of sightseeing. 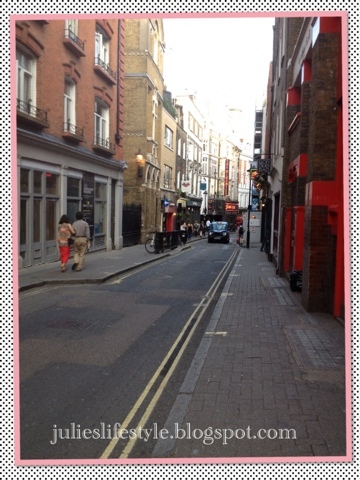 Every morning we would get up early and have our morning breakfast at Pret A Manger and then head out for sightseeing. We took a sightseeing bus called the Hop-On Hop-Off Bus that took us all over London. We bought a 24 hour ticket and it was so easy and fun to just sit in a double decker bus. 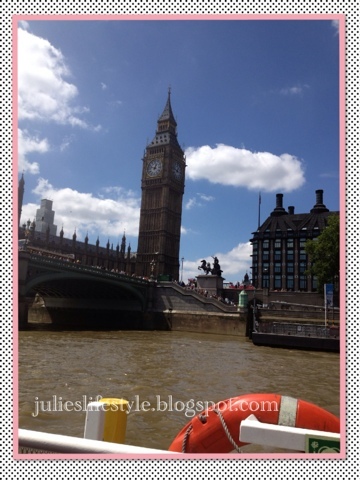 We took a boat ride down the Thames River and you can see Big Ben. 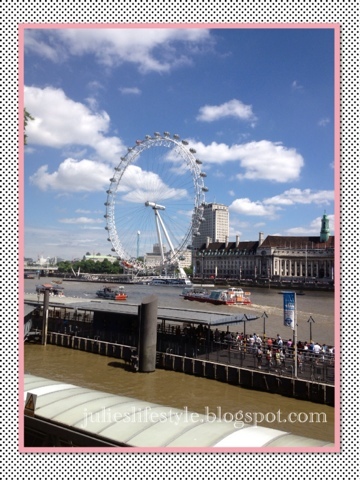 You can see the London Eye in the distance which is a giant ferris wheel located on the South Bank of the River Thames. 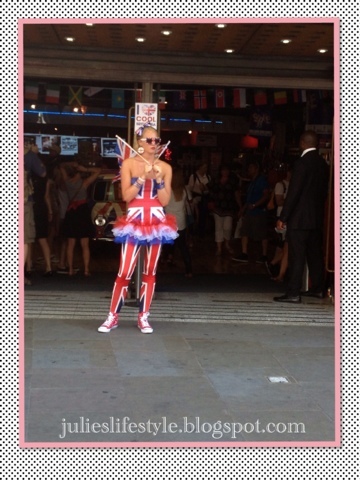 Here is a girl dressed up as a British Flag standing outside a store. She looks so cool. 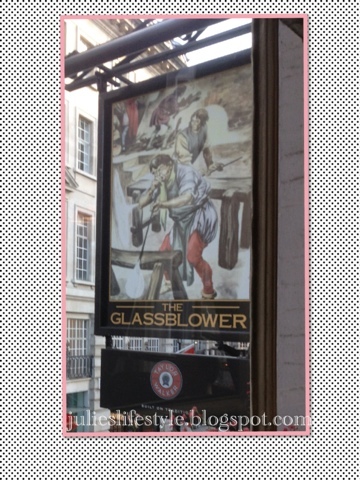 In the evening we went to dinner at the Glassblower Pub. 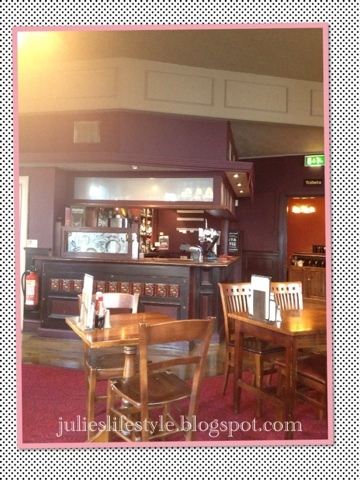 This is the inside of the pub and we were seated on the right. This is the cover of the menu. 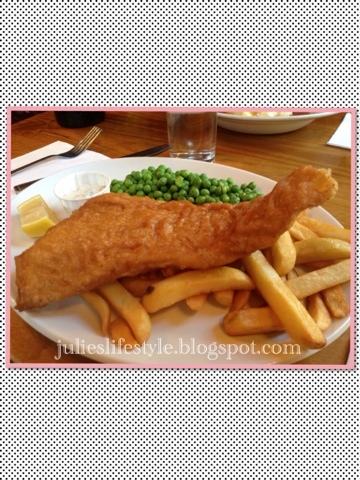 My daughter had fish and chips. Look how good this looks! 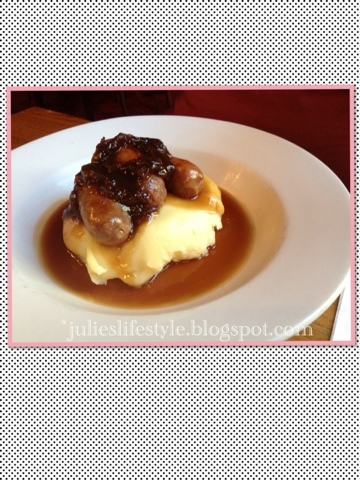 My husband had banger's and mash. Which is sausage and mashed potatoes. 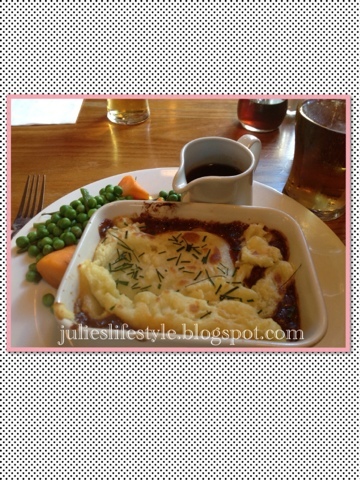 I had shepherd's pie with peas and carrots. We all enjoyed our traditional british dinner. After dinner we walked around and did more sightseeing. I hope you enjoyed looking at the pictures from our second day on vacation. Please stay tuned and check back for more updates. INCASE YOU MISSED LONDON TRIP DAY 1 HERE. INCASE YOU MISSED LONDON TRIP DAY 3 HERE. Hi Poppy, thanks for your sweet comments. 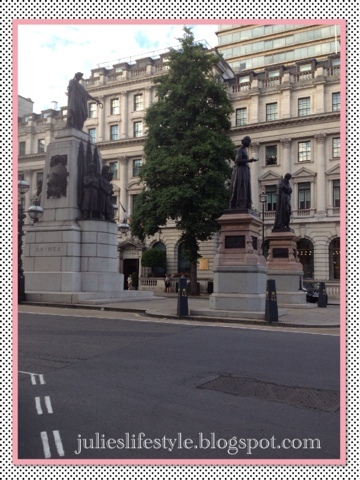 Beautiful, I love London, enjoy and happy week-end!!! Hi, I love London too and have a wonderful weekend. Hi Amy & Amanda, I am glad you enjoyed looking at the photos and the food is so good! Stay tuned for more. 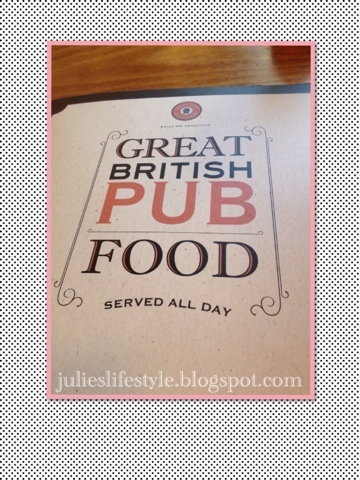 The food looks so tasty Julie. I think I would have had the fish and chips. Love the girl dressed as a flag. Another great day in London! Thanks for sharing with SYC.